David Christopher earned his Real Estate license in 2012. Since then he has continued to enhance his understanding of the market and all aspects of Real Estate. Based in Brandon, David is the expert to help you with all of your home buying and selling needs in Madison, Ridgeland, Jackson and Pearl. Specializing in first time home buyers, David has the expertise necessary to assist his clients as they realize their real estate goals. David understands the dynamics of the Metro-Jackson real estate market and is an expert at educating his clients so they can make the best decisions for their needs. David uses the latest internet technologies to market and find homes at an expert level. David earned his Bachelor of Business Administration degree from Mississippi State University that provided a solid background on which his career is built. David understands the stresses and hassles involved in the buying, selling and relocation process and strives to alleviate these concerns for his clients. 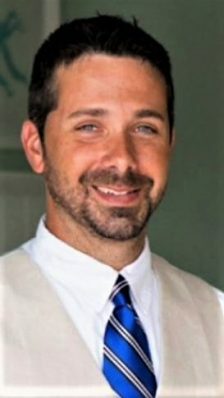 David is a member of the Jackson Association of REALTORS (JAR), Mississippi Association of REALTORS (MAR), and National Association of REALTORS (NAR) in addition to the Central Mississippi Multiple Listing Services (MLS). David finds that being a Realtor is more than joining professional associations, he believes REALTORS should be involved in their communities as well. David has served his community in many capacities from Keep the Rez Beautiful’s Great American Cleanup to Toys for Tots. In David’s free time, he enjoys kayaking, camping, biking and being outdoors with his family. David loves to share the joy of home ownership with others and can’t wait to help you achieve your real estate goals. Call, text, or email David today to start making your real estate dreams a reality.